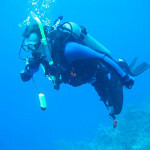 Scuba diving is a hobby a lot of people would like to get into. The thought of going into the water and exploring the various depths of the oceans has a certain appeal to it that draw many in. Much like driving, however, in order to be able to dive, you’ll need to get the right kinds of certifications. This means you’ll need the right training from credible sources in order for you to do this safely. That’s where the National Association of Underwater Instructors, and the NAUI courses come in. The main purpose of getting a certification through NAUI courses is safety. These courses basically educate and prepare you with the right kinds of knowledge that you can use during your entire diving career. While it’s entirely possible to be able to dive without going through the NAUI courses, the chances of you getting back safely and having a successful dive increase dramatically when you do. Knowledge is power, and it’s certainly true when it comes to scuba diving as well. To help you out on where to start, we’ve summarized the different the types of certifications you can get through NAUI courses. The National Association of Underwater Instructors, or simply NAUI, is a non-profit organization based in Tampa, Florida that specializes in providing instruction and certification for recreational divers. It was founded in 1960 by Albert Tilman and Neal Hess and has provided service from a number of training centers all across the globe, including Japan, Europe, the Middle East, South Africa, Brazil, and a number of nations in the Pacific Rim. NAUI courses are among the most extensive in the world, and people who receive certification are generally considered with high regard. Unlike more recreational certification agencies, NAUI focuses a lot on the technical aspects of diving and incorporates skill that make use of these aspects into their curriculum more so than others. This also means that NAUI courses tend to be longer than those of other agencies, but of course, this also means you’ll be learning more. Being the largest non-profit dive training organization out there, NAUI is known to offer courses that are in-depth and extensive as well as higher training standards. They also offer different diving certifications depending on the amount of knowledge and the number of skills taught on each level. This it first among many NAUI courses and is considered to be an entry level certification course. This is where prospective divers acquire the basic knowledge and the fundamental skills they’ll need to get into scuba diving. Aside from group classes, some people may opt to undergo a tandem scuba diving course, where they get to dive with an instructor. These types of NAUI courses provide participants the ability to have 100% of the instructor’s full attention for the duration of the course. Groups of two or more can also be accommodated with additional instructors or qualified assistants as well. 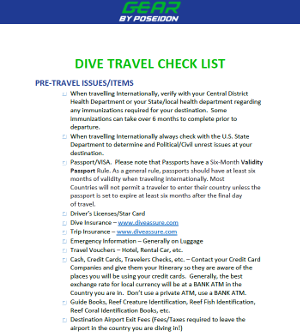 After completing this level, divers will receive the necessary qualifications that will allow them to dive in any dive center in the world that recognizes the NAUI courses and their certifications. The next training program available after the introductory NAUI courses is the advanced scuba diving training. During this course, divers get to explore new, more advanced dive sites and will do some exclusive activities with their instructor. 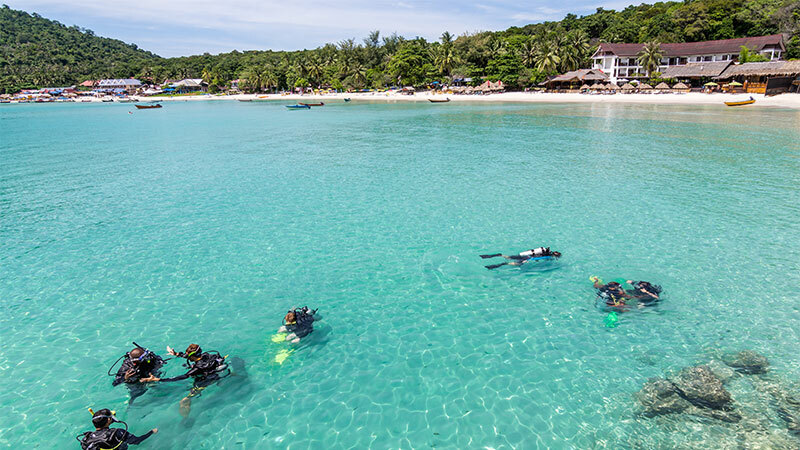 Students undergoing the advanced course will undergo a minimum of 6 open-water dives, and another 3 separate dives with different to learn new activities, depending on the student’s choice. These activities include night diving, underwater mapping, saltwater and freshwater diving, altitude diving, deep diving, wreck diving and navigational skills. Successfully finishing this course gives you the advanced diving certification, which opens up more diving opportunities in dive centers that you normally wouldn’t have if you’e only finished the introductory levels. After taking the advanced NAUI courses and receiving the corresponding certificates, students have the option of taking the master scuba course to expand their skills further. During the master course, students will undergo eight open-water dives, as well as 4 dives where they learn certain skills, such as what they should do during emergencies and rescue, deep compression diving, low visibility night diving and more advanced navigation with a bit of search and recovery. Aside from those 4 classes, students also undergo further mastery of certain dives and concepts related to scuba diving, such as skin diving, environmental studies, air consumption and boat diving. Receiving the master certificate from these NAUI courses will distinguish you as a leader amongst divers in any diving center and will be treated accordingly. Once you’ve finished the master level NAUI courses, you make take part in the technical classes provided by NAUI. These classes delve deeper into more technical diving concepts such as air mixing and a huge focus on deep diving and decompression diving. Students will also have the opportunity to make use of the diver propulsion vehicle, a personalized underwater vehicle that will allow you to glide through the water with much ease. On top of the technical NAUI courses, divers may also undergo training as a NAUI-certified diving instructor. These courses focus more on providing students the necessary leadership skills and help them become instructors themselves. These classes are perfect for those who seek more than just the thrill of diving and are willing to spread wisdom to their fellow diving enthusiasts. People who receive the NAUI instructor certification will have the right kind of knowledge, skill and attitude to do so. The National Association of Underwater Instructors has a long tradition of high standards and has produced a large number of competent divers without fail. Whether you wish to learn to be the best diver you can be, or even learn the necessary skills to teach these skills yourself, NAUI has the right classes for you.